National telecom backbone, BSNL has launched one new 20Mbps unlimited fiber broadband plan 'Fibro BBG ULD 995 CS287' with effect from 26th March 2018 on wards. As per the latest information, the new fiber broadband (FTTH) plan will be available exclusive to customers in Ernakulum SSA of Kerala Circle only. The plan offers 20 Mbps download speed till 200 GB and 2 Mbps speed beyond 200 GB. Customers may enroll under this new fiber broadband plan for limited period i.e., for a period of 90 days from 26th March 2018. All customers of Ernakulam SSA of Kerala Telecom circle. 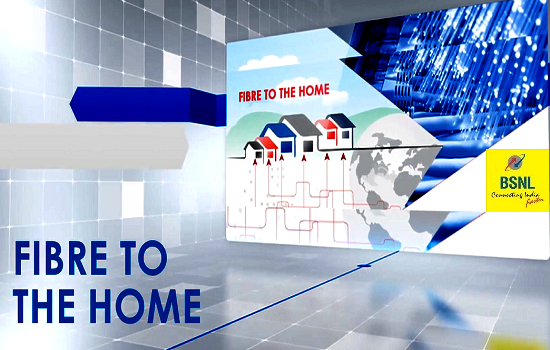 Note: Under above FTTH Broadband plan, Security deposit for Landline shall be levied as per prevailing instructions. Additional facility for Sunday free calling to any network within India under above Broadband plan, shall also be extended as per prevailing instructions. All other relevant terms and conditions shall remain unchanged. The plan will be available on promotional basis for a period of 90 days with effect from 26-03-2018 in Ernakulum SSA of Kerala Circle only. Dear readers, please share your views and opinions about the launch of this new unlimited fiber broadband plan from BSNL via comments with us. Fed up with the DSL connection in IJK SSA, just waiting for this FTTH to be rolled out there.